Like the Shorthorn guitar, the Longhorn bass stands as one of Daneletro's most iconic models. 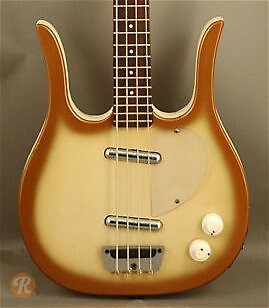 These basses were produced as budget-friendly models in the starting in 1959, and featured the standard "Coke bottle" headstock design and a shorter 30-inch playing scale. The Longhorn has been revived a few times starting in the mid-'90s.